All aboard! 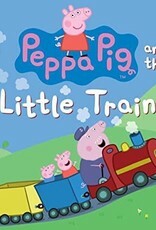 Peppa Pig and her brother, George, are ready to chug, chug, chug all through the town on Grandpa Pig’s little train. Peppa Pig and George are visiting Granny and Grandpa Pig, and Grandpa Pig has a surprise for them. Toot, toot! Chug, chug! 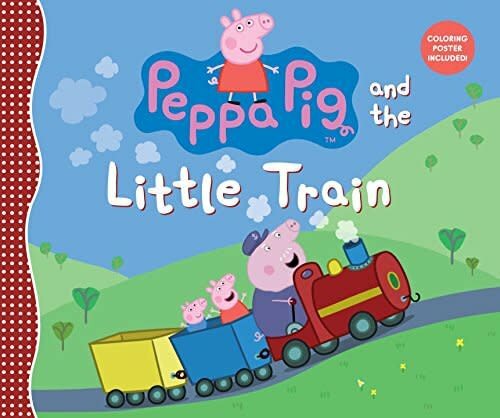 Grandpa drives a little train out of the garage, and Peppa and George hop on board. Who will they meet as they ride the train all around town? And when Miss Rabbit’s bus gets stuck in the mud, who might help them save the day?